Hon. Edmond Castro, junior Minister of Works: Fired on Nov 24 by Prime Minister Barrow for "engaging in behavior that is inconsistent with the high standards of propriety to which the Prime Minister seeks to hold his ministers". The last time I wrote about Belize, it was about the despair and anger we all felt regarding the state of affairs in our beautiful country. I am not a writer, but when inspired, I tend to go off. Our Prime Minister, Mr. Barrow, has to be commended for the decisive manner in which he handled the question of Mr. Castro. I have known Mr. Barrow for over 40 years, and have always considered him an honorable man. After the unprecedented corruption of the last administration, there is no room or leeway in the pursuit and rooting out of corruption in the present administration. The UDP ran on an anti corruption and transparency platform, and there is evidence that for the most part, they are keeping their word. I believe that Mr. Barrow is doing his best to adhere to those promises he so nobly expressed during the last campaign, and I also can imagine how hard it is to keep everyone in tow. There will always be those who believe that they can blatantly flaunt and abuse the public trust bestowed upon them, and get away with it. I remember a couple of years ago at the Princess Hotel, I noticed a Minister in a meeting with several foreigners, they appeared to be businessmen. They were in earnest conversation and my first thought was, ‘where was his CEO, or some representative from his ministry to record the minutes of the meeting?’ This seemed inappropriate to me, and is the type of action that leads to people getting the impression of skullduggery. Elected officials have to realize that they serve at the behest of the electorate, and not for their personal aggrandizement or enrichment, that the title "Honorable" actually means something. People selected to run for office should be totally vetted and made to pay their dues before they face the electorate. People like Mr. Barrow, Mr. Finnegan, Mr. Espat and Mr. Hyde to name a few, a tiny few, have paid their dues, and deserve to serve because we know that they have our best interests at heart. They have shown over and over, that they care, and their light have not dimmed in the shadows of defeat. We need more people like these to run for office, and not those with dishonorable intentions. After all, we the people will always be the victims of their treachery. Mr. Espat and Mr. Hyde...are you serious? Maybe you should consider all the many assets and property they have gained after being elected...they are all birds of a feather. The only PUP who ever did it honorably and transparently is Mr. George C. Price. Unfortunately, I also believe that the UDP is a party of incompetence...and the PM shouldn't stop with Castro but also fire himself. Well, I have to agree with Anonymous. These two parties are really the same leaking faucet of corruption. The people of Belize need to educate themselves about the law and the Belize Constitution. Only then can they kick these whores like Edmond Castro out of office. And yes, Rt. Hon. George Cadle Price was and is the most "Honorable". He never enriched himself from the government's treasury and rapes the country of its land. Hats off to Mr. Barrow! My respect for him keeps increasing. It is never easy for a leader to make moves such as this. I enjoyed reading this article and would like to agree with some of the sentiments. Well done. 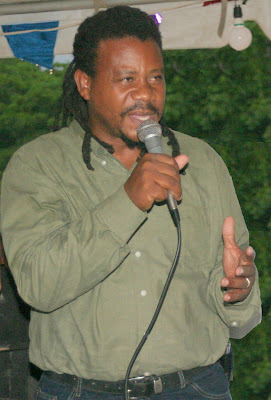 Mr. Barrow needs to clean the houses of the corrupt, national security, immigration and police forces in this country. Belize is promoted heavily by the Belize Tourism Board “Belize Tourism Board Action Plan 2010-12” for tourist to come and enjoy sunny beaches. Very recently there were many high profile Colombian cocaine bust drug into Belize. Planes literally falling out of the skies all over Belize. One on the Southern Highway outside of Punta Gorda Town, one in the Village of Sarteneja in Northern Belize, one in Caye Caulker and another in the Northern Caye on the Lighthouse Reef atoll.. How the heck did these people get into Belize?? Let me tell you how!! With the help of paid government officials and their “business” partners doing business as legitimate business people in Belize. Come on Prime Minister Barrow, Belize is getting a black eye. You need to do more or tourism will suffer!! The PM probably could not cover up Mr. Castro's misdeed that is why he fired him. How about Mr. Perdomo?Why make Mr. Murillo take the rap?